Happy St. Patrick's Day weekend to all! I am currently headed to Sarasota to run my 5th Half Marathon. I will hopefully finding some green beer and shepherds pie along way! In honor of St. Paddy's day, Gabe and I have decided to sign up for the Rock n Roll Savannah Half Marathon! AND I have a discount code for you that is valid through 11/2/13 if you are interested in running this race with me! Use discount code WINESAV at checkout (awesome code huh). 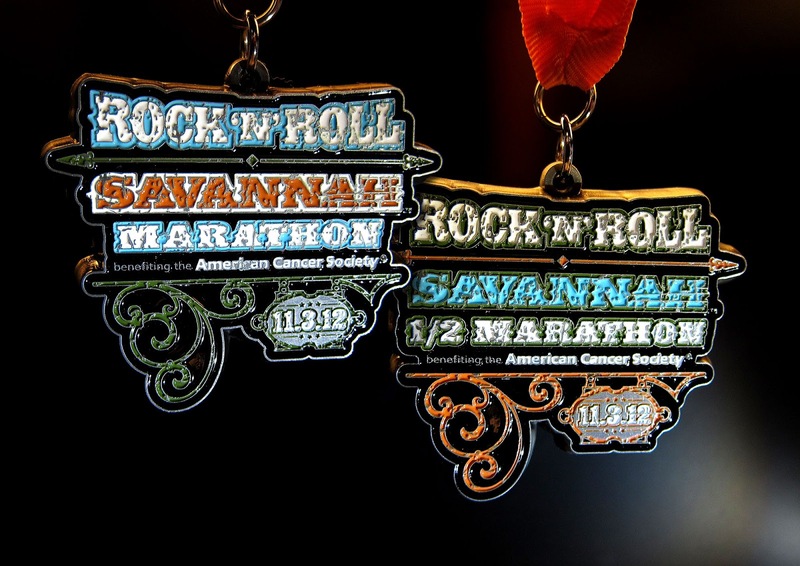 The Rock n Roll Savannah coupon code is valid for both the full marathon and half marathon. Register before 3/31 for a huge savings (along with my discount code, you can save $30 prior to 4/1). I called my Mother to tell her this news and she panicked, thinking it was a few weeks away (she didn't like the thought of her exhausted daughter running SIX 1/2s in 3 months). Not the case though. After this Sunday, we will pull back on our long distance running for a few months, giving ourselves some time to rest during the off season. Not to fear - we will continue to run and will find a ton of 5K, 10K and 15K races to get into! Once Marathon season starts back up in the South, we will be heading up to Savannah to run the Rock n Roll Savannah Half Marathon on November 9th. I am super excited to run this race! My good friend Lauren and her husband Joe went up to Savannah last year so Joe could run the 2012 Rock n Roll Savannah half. His experience at that race is what convinced us to start running the Rock n Roll series and this will mark our third RNR 1/2 in one calendar year. Guess what that means!! Triple Crown Baby! We will be adding the above triple crown medal to our bling collection for running three Rock n Roll Marathon Series races in one calendar year. You can check out the entire Heavy Medal collection by clicking here. 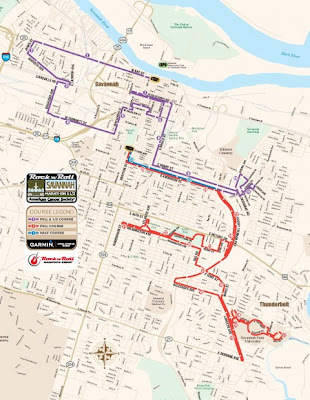 While it is too far out for detailed information on this race, I can tell you from experience that the Rock n Roll Savannah Marathon series participant perks will include a scenic course highlighting host cities famous sites, live local bands along the course. Spirited cheer squads lining the course (they are a fun group!). A his or hers Brooks Technical Participant Shirt (PS the ladies run small). Amazing Finishers Medal. Rock n Roll Marathon Series Swag Bag. Free admission to the Finish Line Festival and Post Race Concert (and beer!!). Free admission to the 2 day Health & Fitness Expo. Click here to follow the Rock n Roll Savannah series on facebook to keep up to date on all of the events surrounding the race! This sounds like such a fun race! am a bit bummed that I can't run it this year, but I already signed up for the Disney Wine & Dine half -- maybe next year! Hi Kristin! I am super bummed the two races are on the same day. The triple crown is reason I picked this over Wine & Dine. Since we already ran 2 RNR's in 2013, this is the time I should get Savannah under my belt. I will be missing everyone in Orlando though! Thanks for the promo code! I just signed up! Thanks for the Promo code, you can't beat $10 off!